Choosing your next car is never an easy situation. When you’re torn between different cars, how do you make the choice that’s right for you? At Doral Toyota, we’re proud to be a beacon of information for our drivers in the Doral, Miami, Kendall, and Hialaeah areas. One of the ways that we offer our expertise and support to our drivers is by providing them with informative guides to help educate them on the vehicles they’re considering in the South Florida area. That’s why we have this vehicle comparison library. the easiest. That’s why we have these car comparisons. Our vehicle comparisons take your favorite Toyota model and place it right next to a similar model from a different automotive brand to show you the similarities, but most importantly, the differences. You’ll learn how each vehicle compares in terms of performance, style, amenities, and safety. These guides are meant to show the components and features that are most important to the consumer when shopping for his or her next vehicle. Making the ultimate decision of your next car when you have a lengthy list isn’t always simple. However, our vehicle comparisons can help you in numerous ways. You’ll learn how each vehicle differs, so you can begin crossing items off your list to come down to a handful of vehicles that are more manageable. Our vehicle comparisons can also help you learn more about the different features that are equipped in today’s cars. Features like sophisticated infotainment systems, GPS navigation, and even Bluetooth® have added a lot to the driving experience. When you learn about these features, it could alter your decision. After you’ve read a few comparisons, you’ll see which vehicles offer the exact features you’re looking for in your next car. Do I Have to Read These Vehicle Comparisons? By no means are our vehicle comparisons mandatory reading. They’re simply here as a guide for drivers who are in the research stage of their car buying experience. However, if you’re in the market for a new car, and you’re considering multiple models, these articles can help you greatly. 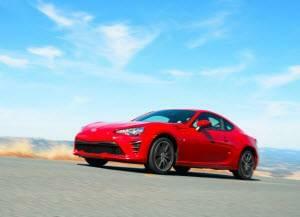 Look for your favorite Toyota model below and learn how it compares to other models on the market. 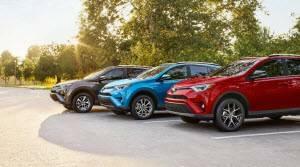 If you’re interested in learning more about a particular model, don’t forget to check out our Toyota vehicle reviews. At Doral Toyota, we’re always happy to help drivers from the Doral, Kendall, Hialeah and other South Florida areas make the important car buying decision.